While there are many ways that people can combat the growing risk of pollution in our world today, most people still do not. The common belief is that the ways to reduce pollution are not effective enough so they do not even try. However, that is dead wrong. Recycling plastic, paper and other waste products is an incredible way to keep a lot of those items from ending up in our oceans or landfills. If everyone practiced the three R’s of recycling: reduce, reuse, recycle; we would see a drastic drop in plastic pollution. Reduce, reuse, recycle has been taught in schools for a while now. By teaching the younger generation to practice this, more and more people will begin to recycle as well. 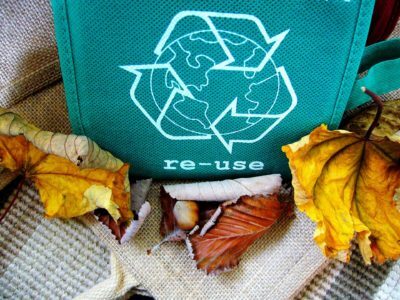 So what are the three R’s of recycling? Well, it is pretty self explanatory. Reduce means to consume less plastic products. Reuse means to simply reuse any recyclable products that you may receive. Finally, recycle means that instead of just throwing away everything you receive, put the items that can be recycled into the correct bins. The use of reduce, reuse, recycle falls in the waste hierarchy. The waste hierarchy is basically the order of preferences for action to reduce and manage waste. Normally, it is portrayed as a pyramid with the most favorable option at the top and the least at the bottom. The order in which they are portrayed is as follows from most to least: prevention, minimisation, reuse, recycling, energy recovery, disposal. The aim of this order is to extract the maximum practical benefits from products and to produce the least amount of waste. This hierarchy does not only apply to human waste. It also applies to human activities that produce greenhouse gases, emit pollutants, and waste energy. Every year, Americans throw away 50 billion food and drink cans, 27 billion glass bottles and jars, and 65 million plastic and metal jar and can covers. Where does it all go? Well, 85% of it ends up in landfills and dumps. There, as they decompose, they can release harmful chemicals into our air and soil. Landfills are a big source of all three types of pollution, air, land and water. So what is the solution to this pollution problem? Putting into practice the three R’s of recycling. Reduce, reuse, recycle. The first R is reduce. This is simply using fewer resources in the first place. By reducing your waste production, you could bypass reuse and recycle all together. It is also the most effective of the three R’s. However, it might also be the most difficult. This is because it takes some extra thinking and planning. It requires letting go of a lot of convenience. Plastic items are cheap, easy and extremely common. Nearly everything is made from plastic. So how can you avoid that? In reality, you really can not. Which is why the comparative word we are looking at is REDUCE. Basically, cutting back from where you are right now. Look at the items you buy. Many of them are probably disposable. By buying items you can reuse after their initial use, you are essentially reducing your future consumption. However, the only issue is that many of these reusable products like water bottles, shopping bags and many others can be a bit more expensive up front, you will actually be saving money by not having to replace those items. One reusable water bottle might cost you between $10 and $15, or higher depending on the quality of the bottle. A case of water might cost you about $10 depending on where you buy it from. However, with a reusable water bottle, you will not have to buy those packs every month or so, which will save you $10 or more every month. So when you are shopping, look more for buying quality items that will either last a pretty long time or that you can reuse for a good amount of time. This one is easy. Reuse anything as much as you can. By getting a little creative, you can find a use for just about anything. Instead of throwing away chinese food containers, wash them and use them to save left overs in the fridge. An opened envelope can become a shopping list (my dad is infamous for that one). Start a compost heap for your food scraps, you’ll be surprised what it can do to your garden. Glass jam jars can be turned into containers or even cups. I have about 4 old Smucker’s jam cups in the cupboard at my house. A magazine you already flicked through? Put it in the bathroom for light reading when you are doing your business. That’s why they make magazines. If you don’t have anything in there with you, it is just time wasted. Shopping bags are a biggie. A lot of people do not use the reusable shopping bags for whatever reason. So when you use the plastic bags, do not throw them away (unless they have a hole in them, then recycle them). They can be used as garbage can liners, carrying your work lunch, moving, and many other ways. It is actually surprising how versatile simple plastic shopping bags can be. Before you go to throw something away, especially something plastic, see if you can find another use for it. This is the most common way most people dispose of their paper, plastic and other waste products. The reason for this is probably because it is by far the easiest way to reduce the amount of waste the ends up in landfills. All you have to do is place the recyclable items in a special bin and leave it with your trash. Recycling is just taking all of your plastic, paper, glass, and many other items, separating them and leaving them along with your trash. Sometimes you will have to physically take those items to a specific place like with batteries and glass. Be sure to look up your local laws regarding recycling before just leaving everything outside. Certain cities have different rules on what you can and cannot recycle. However, plastic, paper, and certain metals like cans, are usually the most universal recyclable items. This is probably the most common question when talking about reduce, reuse, recycle. And the answer is pretty simple. However, as was mentioned before, there are some cities and townships that have different laws and regulations in terms of what can be recycled. But, let’s go through the basic recyclable items. To start off the items made of metal, we have the most commonly used metal object in the world. The aluminum can. On average, Americans drink one beverage from a can every day. However, less than half of those cans are recycled. In fact, aluminum cans are 100% recyclable. They can be broken down and reused for anything that requires aluminum, even other aluminum cans. Actually, cans can be returned to the shelf as brand new cans in about 60 days after it is put into your recycling bin. You can even make money by turning in cans. Coast to coast, there are 10,000 locations that buy cans. In addition to cans, aluminum foil and bakeware can also be recycled. The only difference between recycling cans and recycling foil or bakeware is that you will have to clean any food particles off of it first. When materials go through the recycling process, food can gum up the works. Usually, an item will not be recycled if it is dirty because getting the system unclogged is a pain. So be sure you wipe the foil clean before sending to the recycling center. What’s left is steel and tin cans. These are also recyclable. About 36.5 billion cans are used every year in the U.S. They are actually more recycled than aluminum cans. In fact, steel cans contain at least 25% recycled steel. Recycling steel also saves about 75% of the energy it would take to create brand new steel from raw materials. That is enough to power 18 million homes. A lot of metals can not be reused, however you can reduce your metal waste. Instead of buying the small cans of vegetables or whatever you are buying in metal cans, buy the big one. You can choose to only make a portion of it at a time and save the rest in your fridge for the next time you want it. Otherwise, you are just buying more and more metal cans. With soda cans, it is honestly best to stop drinking soda all together because it is incredibly bad for you and makes you gain a lot of weight if you drink it regularly. But if you really want to, buy the plastic bottles. You can reuse those for water or juice or whatever you want. 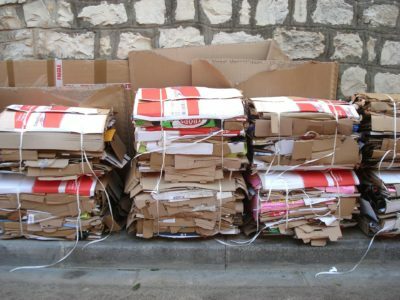 Almost all cardboard is recyclable. Recycling cardboard is the same as recycling anything else. Since most of the cardboard you are likely to recycle is bigger, you can place it next to your recycle bin. Where can you drop off cardboard boxes? Usually, your local recycling center will accept them. If not, you will need to ask them where you can take the cardboard boxes. Actually, about 70% of the boxes used for shipping are recovered for recycling. In fact, a lot of the cardboard boxed out there are made from recycled cardboard. This saves on energy and production cost. However there are some limitations, due to the same regulations as recycling metals. Boxes like the ones you get from Amazon are fine, same with birthday cards, egg cartons, that brown paper stuffing that people sometimes use as insulator. All of that is fine. However, dirty or wet cardboard, most place do not allow. So your greasy pizza box, that is a no. Other items on the no fly list are birthday cards that are glittery, or have batteries in them, as well as food or drink cartons. But the food and drink cartons can be washed out and then put out for recycling. Also, all cardboard needs to be flat before the cardboard recycling collection happens. Almost every paper product can be recycled. Magazines, office paper, newspapers, paperboard, even spam mail you get every week or so in your mailbox. However, like everything else, they have their own regulations so read up on where and how to recycle each piece before you do. In terms of reusing and reducing paper products, many people do this without even thinking about it. Most people save their magazines for bathroom reading since, what else are you doing to do to occupy your time. Until they start adding TVs in bathrooms, magazines or your cellphone are your best options. Beats reading the back of shampoo bottles or tissue boxes. Cardboard boxes are insanely reusable! If you have ever moved to a new house or even to and from a dorm room, you know how useful cardboard boxes can be. So just save as many as you can. I promise you, they will be useful very soon. When talking about reducing your consumption all together, that can be as simple as canceling that magazine subscription you got when you were in high school. Also you can unregister from junk mail just like you can with email and solicitor calls. The reason I put both of these together is because all glass items and all plastic items can be recycled. The only thing you have to be sure of is that, if they were used for food, wash them first. Otherwise they will not be recycled. Other highly recyclable materials include batteries, electronics like computers, keyboards, fax machines (if anyone still uses them), printers, TVs, VCRs, DVD players, phones, and stereos, and lightbulbs. However, with electronics such as these, they all have very specific ways to be recycled. This could be that they have to be taken to a specific place, placed in a special bin, or numerous other methods. The reasoning behind this is because many electronics contain materials that are hazardous to regular waste. They could be fire hazards, contain chemicals, or other issues. So before you recycle, read up on the qualifications. Many of those materials can also be reused. Batteries can be refurbished, computers can be upgraded, TVs can be sold, along with any other functional electronic item. Do not resort to just disposing of them. So much is wasted in today’s society. Water, energy, time, money, numerous resources. It is leading to overwhelming problems that are nearly becoming unmanageable. We as individuals need to do our part to conserve as much as we can. It is so easy, it’s a wonder why more people are not contributing. You want to know what you can do? Here are some super simple things that you can reduce, reuse, recycle, that can lead to incredible savings. Turn off the water during dish washing. Buy a toilet that uses less water per flush. Buy a more fuel efficient car or a hybrid. Better yet, buy an electric car. Switch to renewable resources like solar or wind power. Buy more durable items that can be reused, rather than one use items. Buy in bulk when purchasing non-perishable items. Get creative when making food. Use what you already have instead of buying new ingredients. Learn how to cook from scratch. Reuse as much as possible. Plastic food containers, water bottles, and many others. Walk or ride a bike or ride public transport rather than driving. Teach your kids about the three R’s, Reduce, Reuse, Recycle. Just by doing a few of these things, will help the environment immensely. Here are some fast facts. If every person on earth recycled just 10% of their paper, it could save 25 million trees per year. Recycling one soda can saves enough energy to power a TV for 3 hours. For more on how to reduce, reuse, recycle, check out the rest of Greenandgrowing.org.